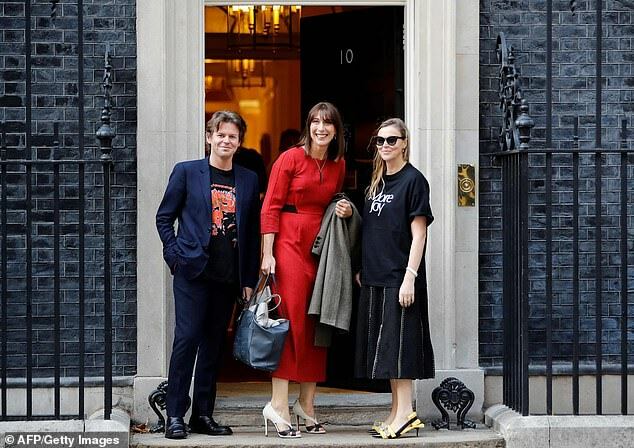 It was her home for six years until her husband David Cameron's swift resignation in 2016, and tonight Samantha Cameron returned to 10 Downing Street, which no doubt holds some bittersweet memories. 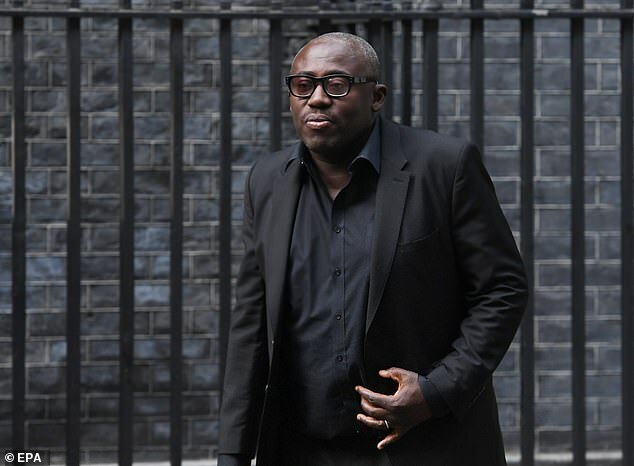 The designer joined a list of fashion heavyweights including Vogue's Anna Wintour and Edward Enniful for a party thrown by Prime Minister Theresa May to celebrate Fashion Week. Sam Cam, 47, as she's affectionately known, beamed as she made her entrance accompanied by designer Christopher Kane. The mother-of-three looked chic for the occasion in a red dress from her own label Cefinn, which she set up in 2017 after her husband left office. US Vogue editor Anna Wintour, 68, nailed her favoured sleek style in a burgundy leather jacket with a floral gown. And naturally she kept her trademark shades on, even as she headed inside to meet the Prime Minister. Also representing the Vogue contingent was renowned British journalist Suzi Menkes who is International Editor for the 21 titles around the world. 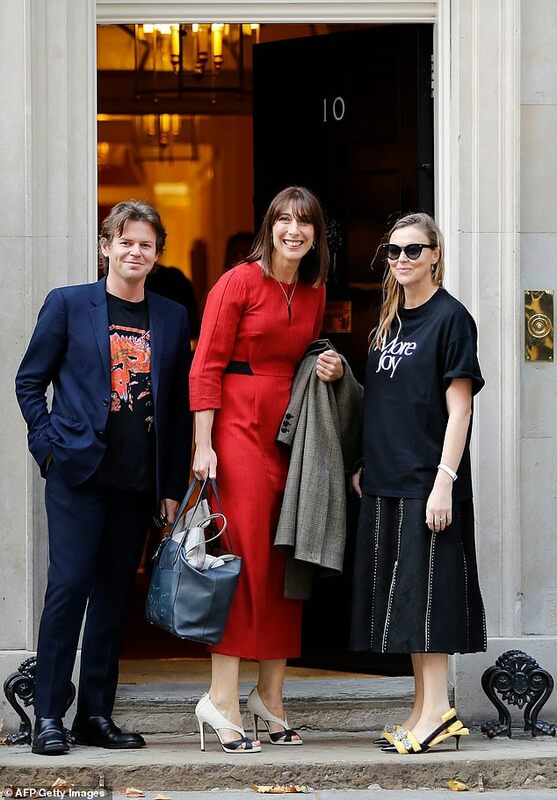 The guest list featured British fashion heavyweights including Scottish sibling design duo Christopher and Tammy Kane; Alice Temperley whose designs are a firm favourite with royals such as the Duchess of Cambridge, and photographer Nick Knight. 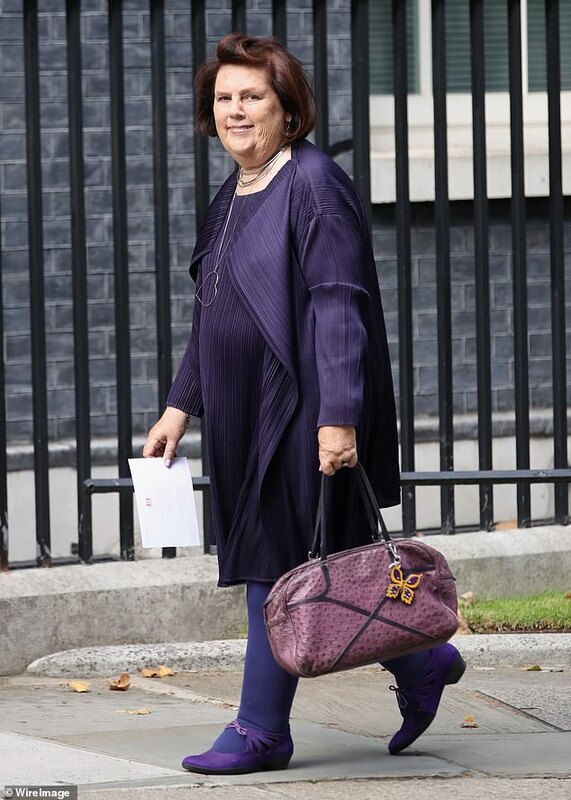 Sam Cam, 47, is regularly seen in her own creations and describes her clothes as being for ‘busy women’. Last year, President Trump’s wife Melania was pictured wearing a £295 ‘belted muslin shirt dress’ design from the Ceffin range. Selling online and at top stores including Selfridges and Fenwick, most of Sam Cam’s dresses cost between £270 and £340. In 2010, the former creative director of Smythson became an ambassador for the British Fashion Council, and was even tipped to become the new chair when Dame Natalie Massenet, the founer of Net-a-Porter stepped down. However, the role went to Stephanie Phair, Chief Strategy Officer at the fashion website Farfetch, who was also in attendance at tonight's party.